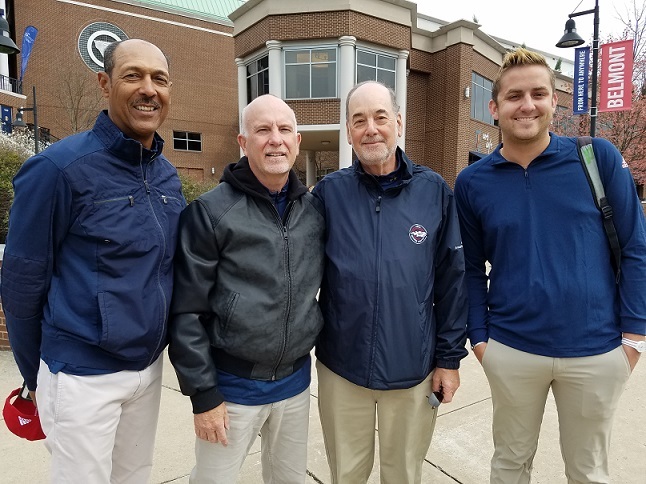 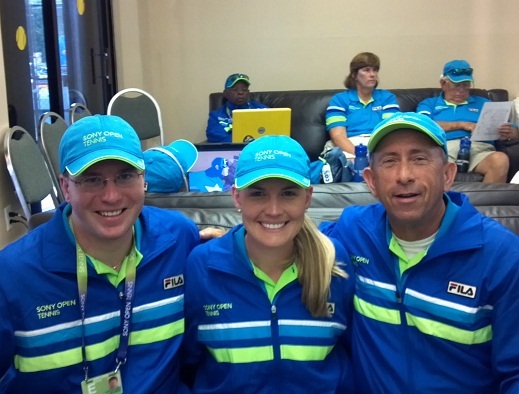 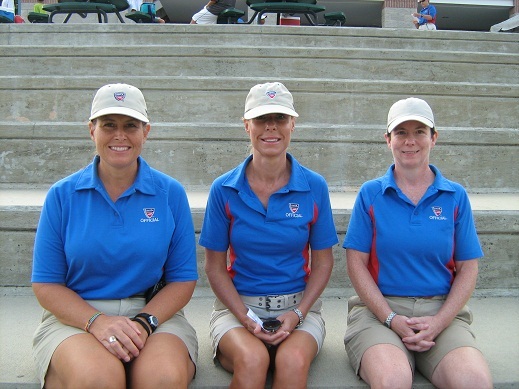 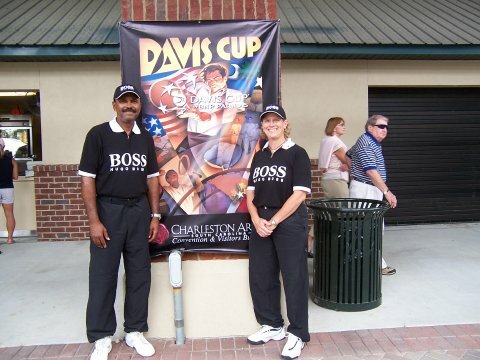 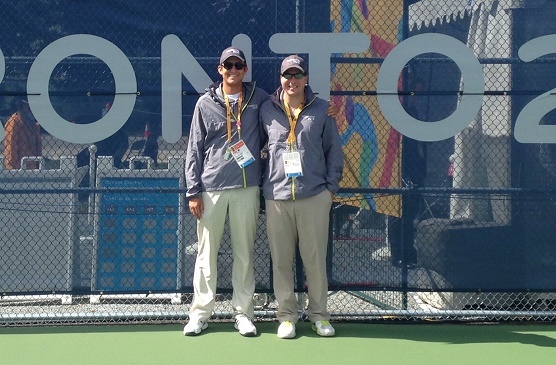 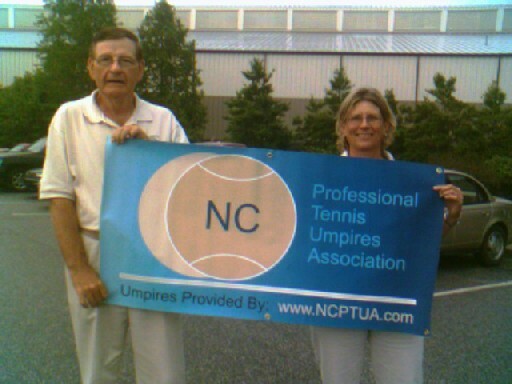 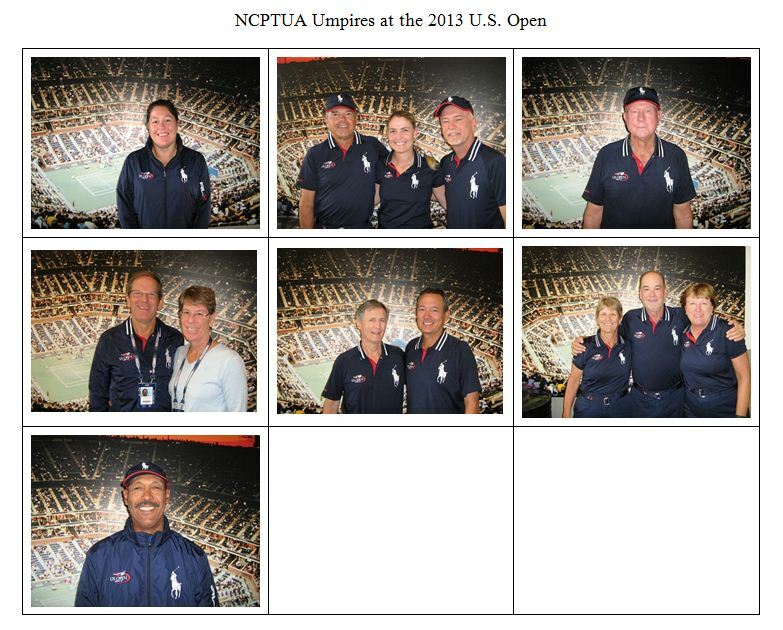 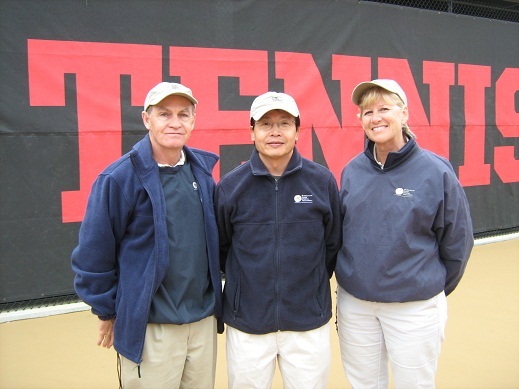 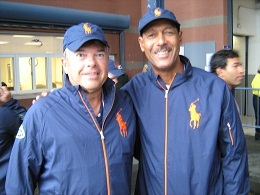 NCPTUA Umpires selected to work Davis Cup April 2018 in Nashville. 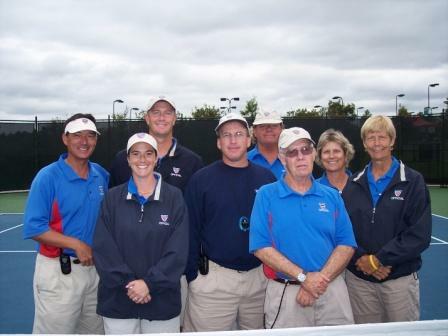 USA vs Belgium. 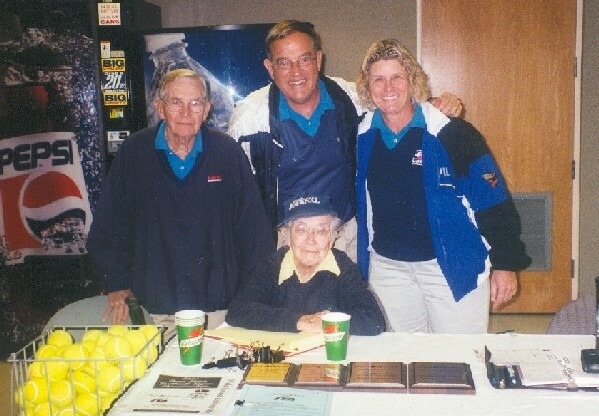 From left to right: John Wilson; Russ Parmele; Rebel Good; and Scotty Moore. 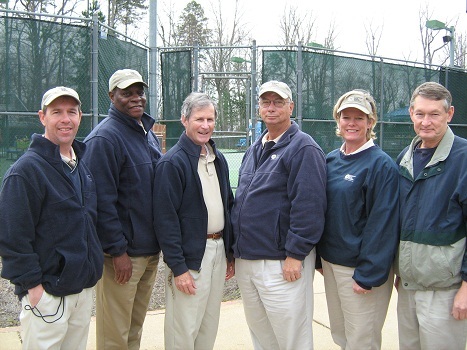 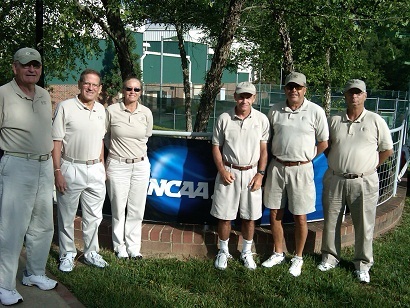 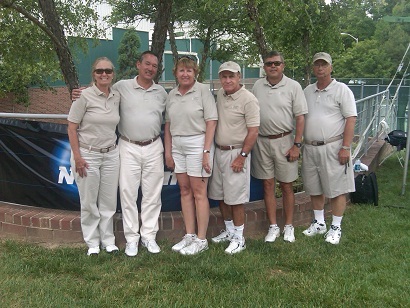 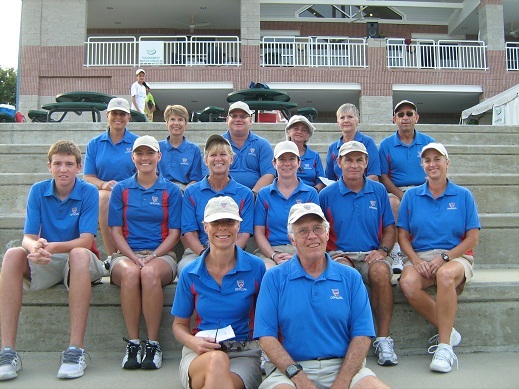 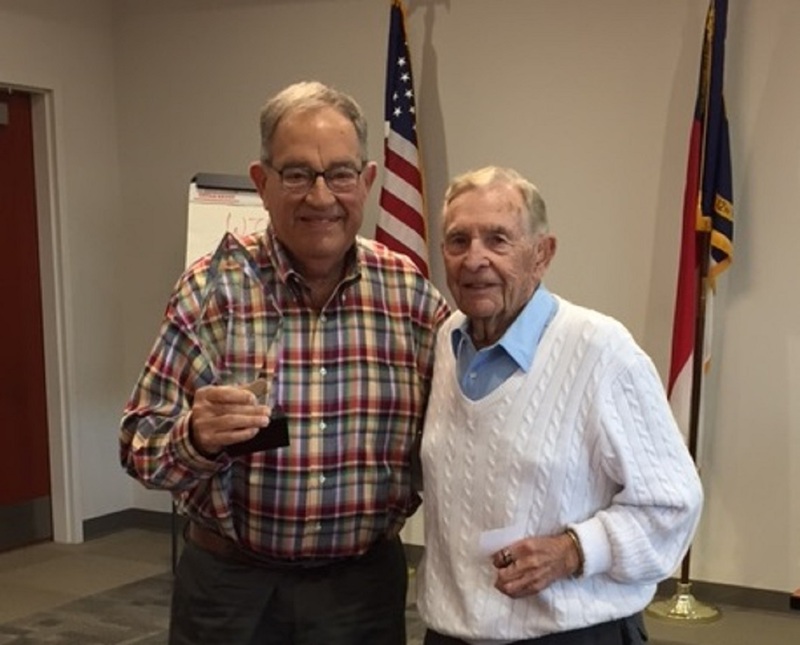 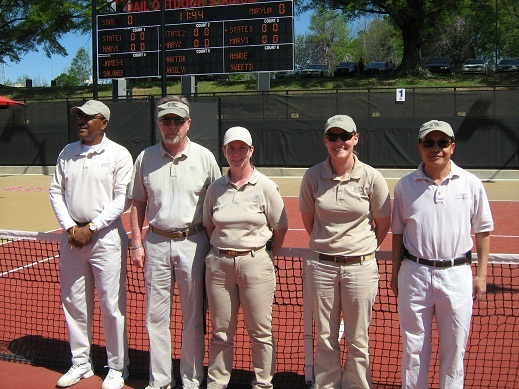 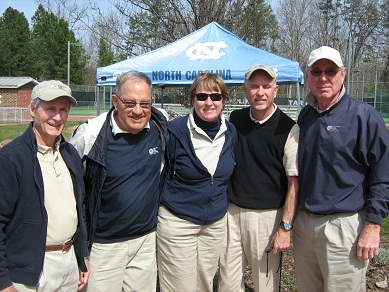 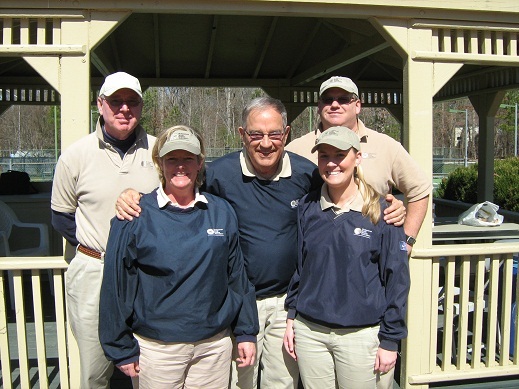 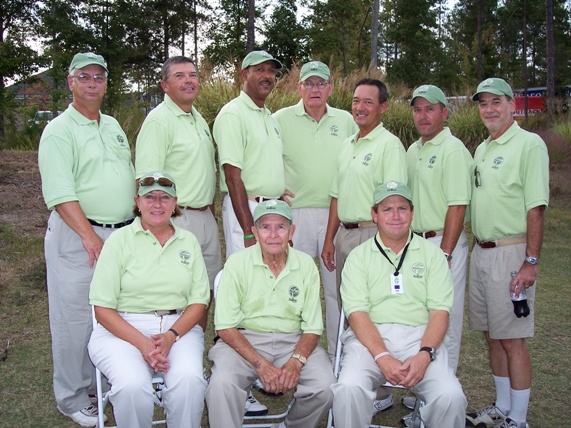 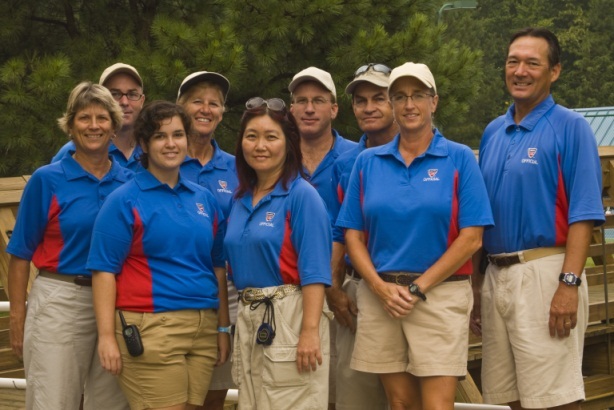 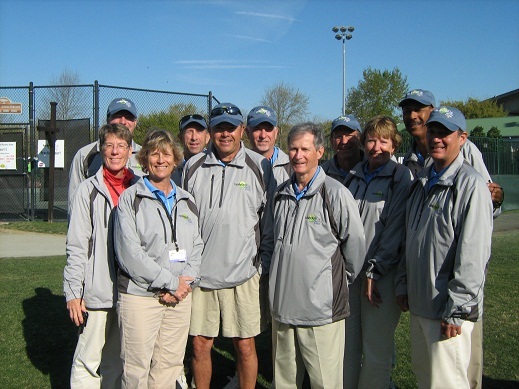 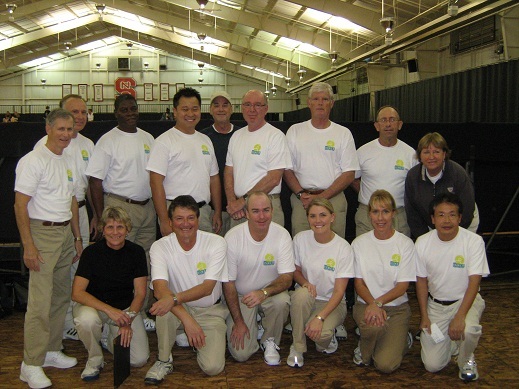 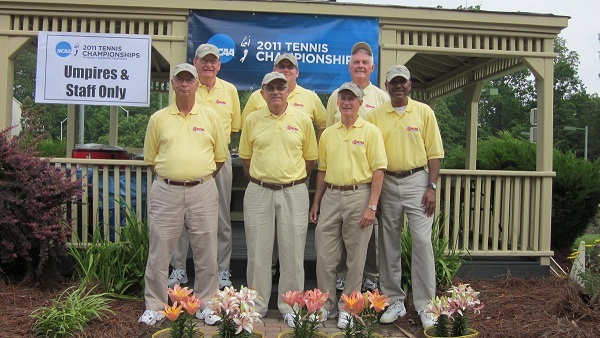 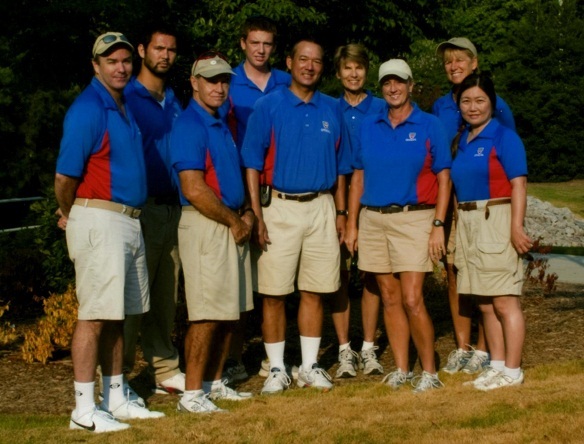 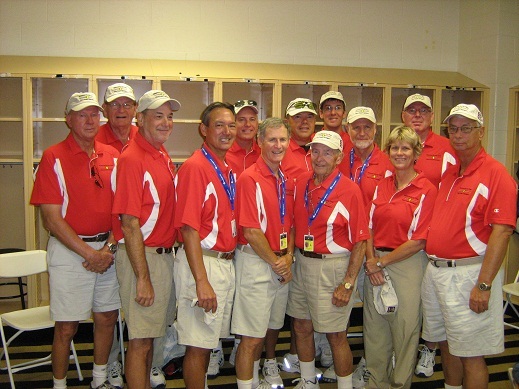 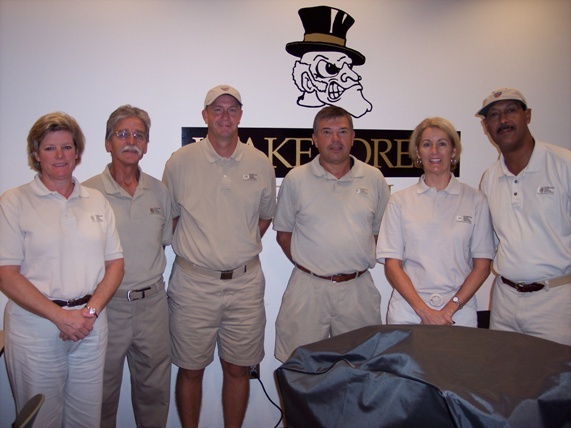 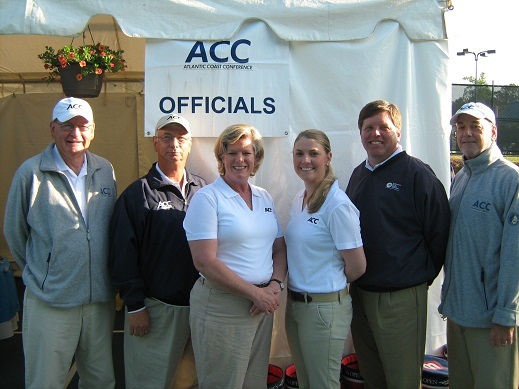 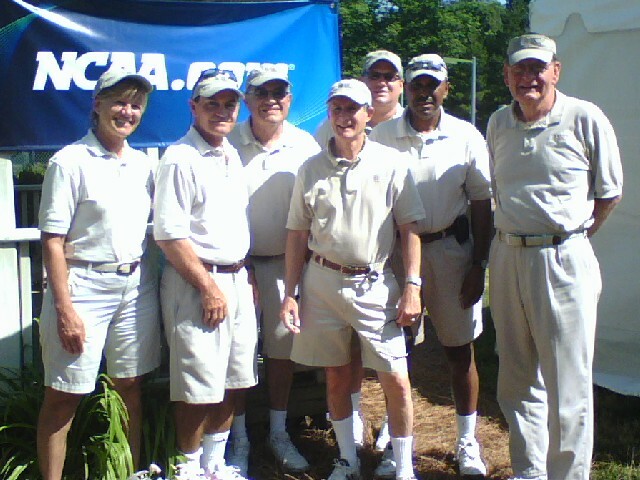 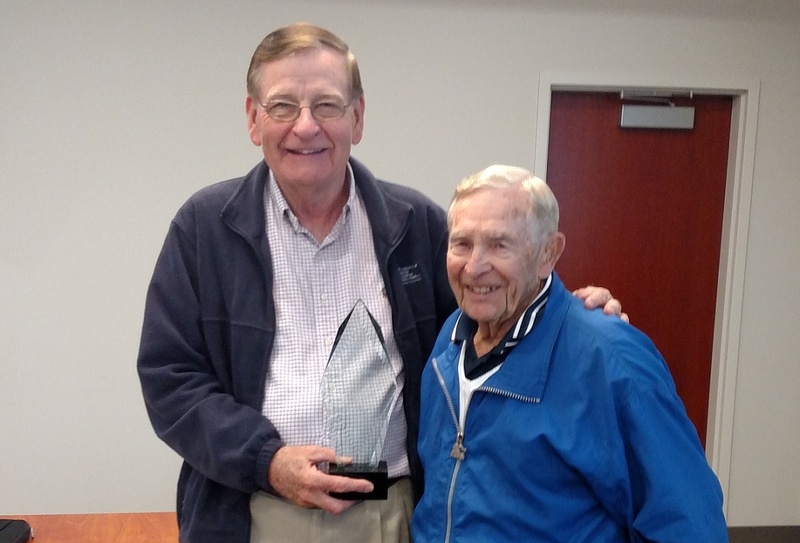 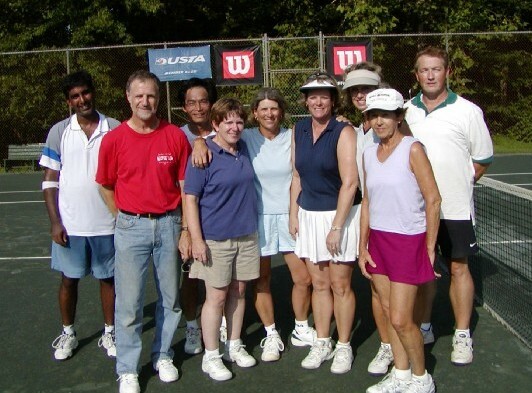 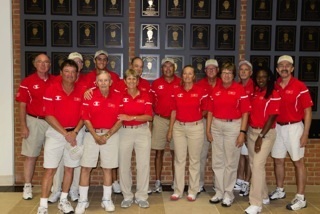 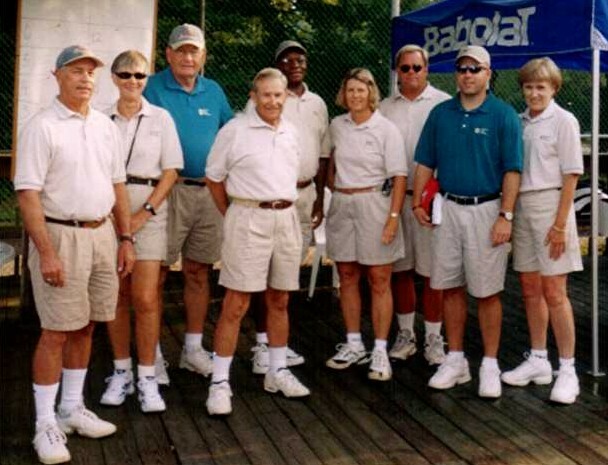 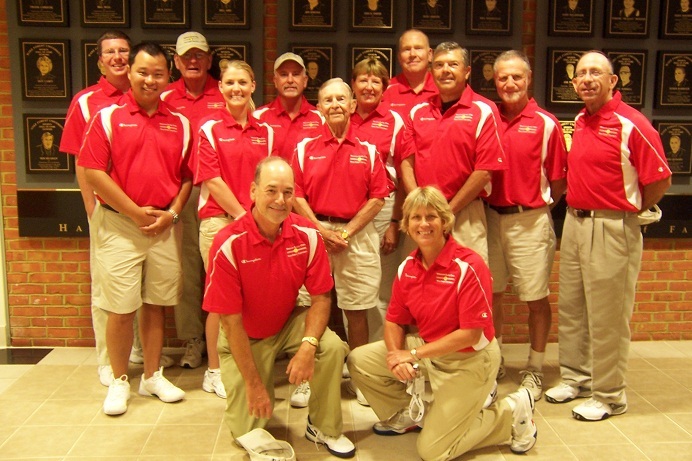 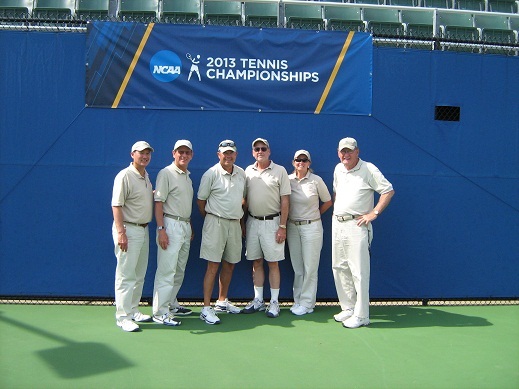 North Carolina officials working this year’s Winston-Salem Open are (left to right) Charles Cauley, Rob Lawson, Harold Chapman, Scotty Moore, Floyd Willis, Diane Spangler, Rebel Good, Ron Violette, Carol Linden, Jim Rose, Chris Pelton, Russ Parmele, Regina Celestin and Kyle Hampton. 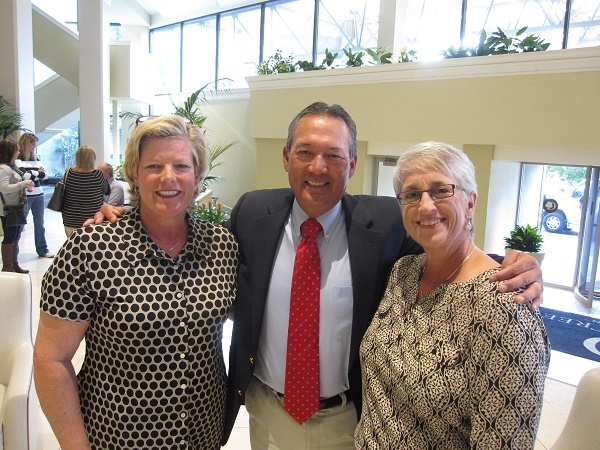 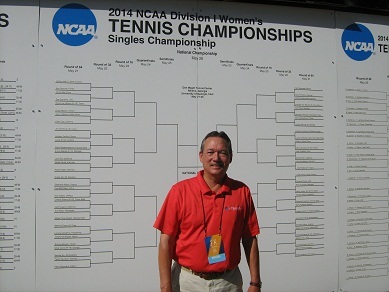 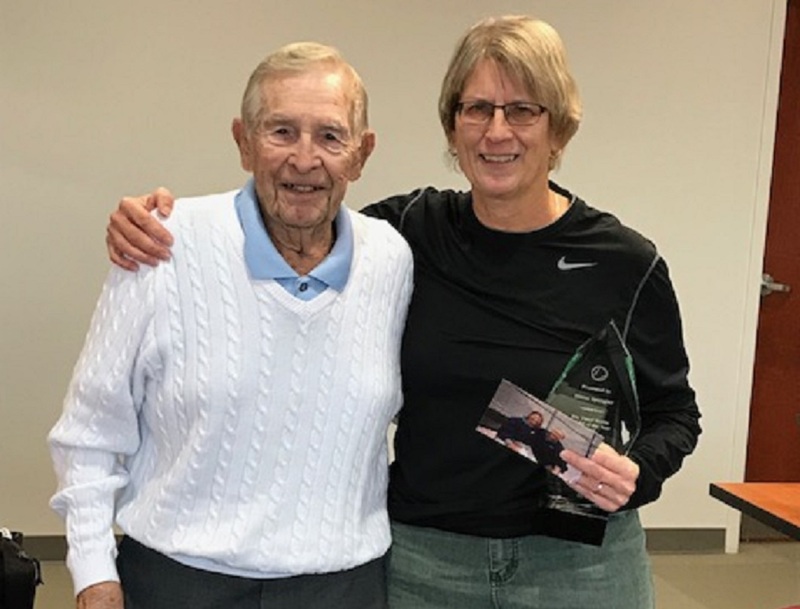 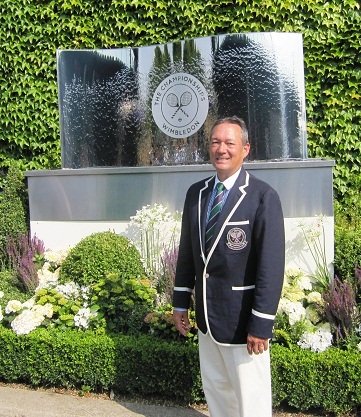 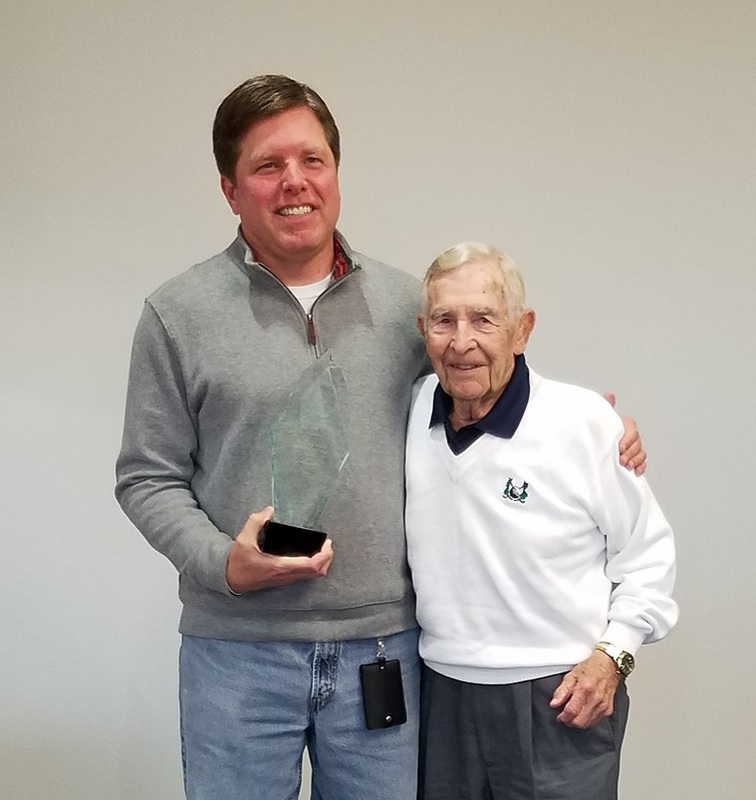 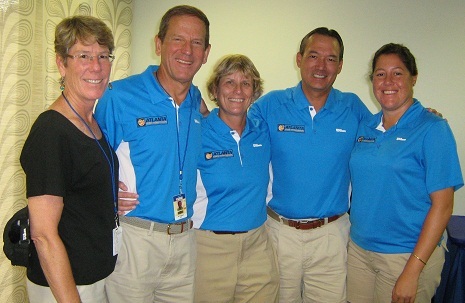 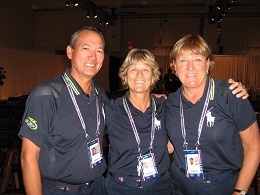 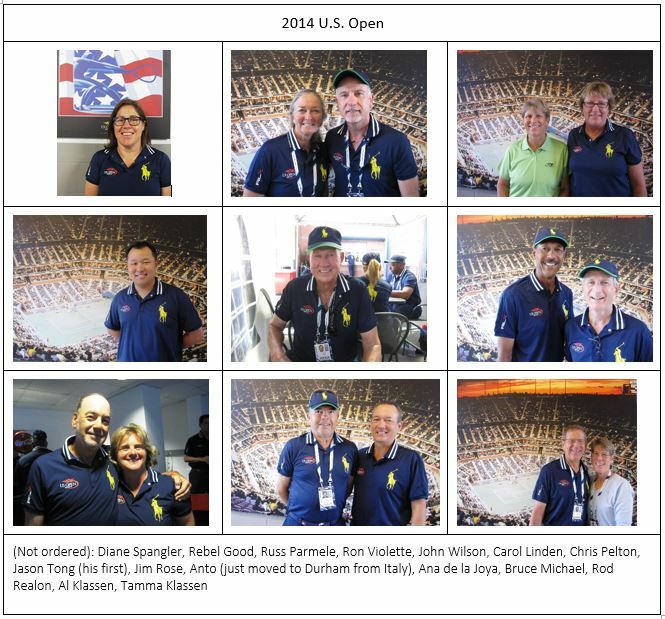 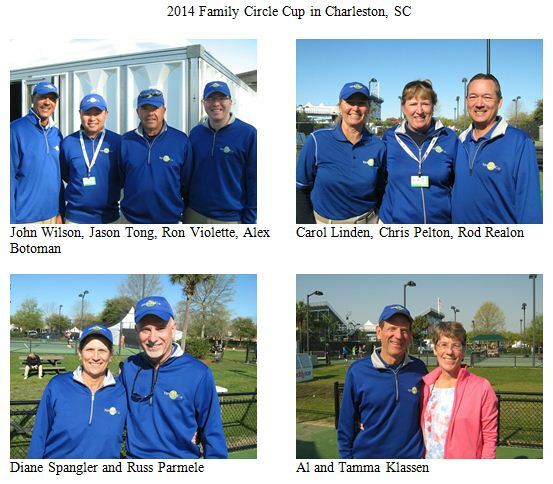 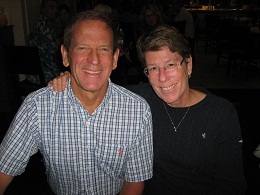 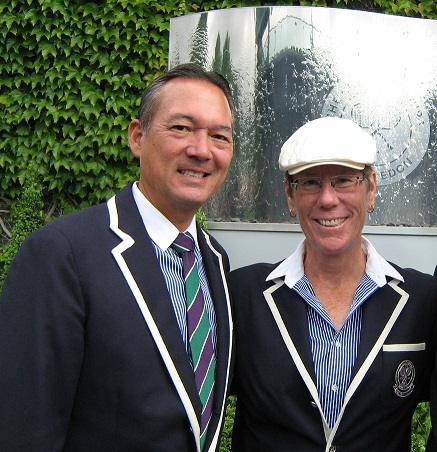 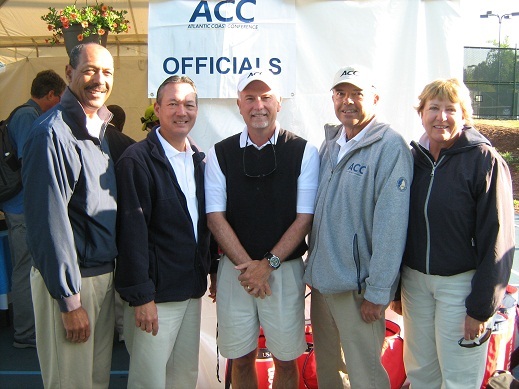 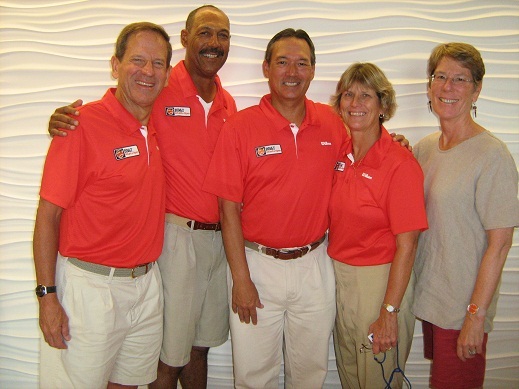 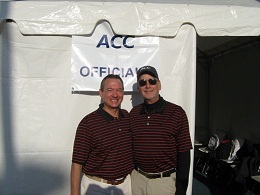 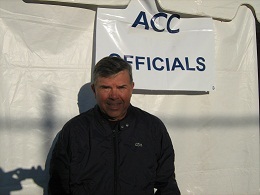 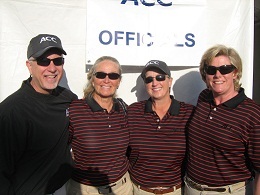 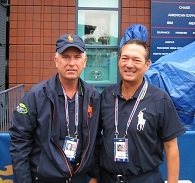 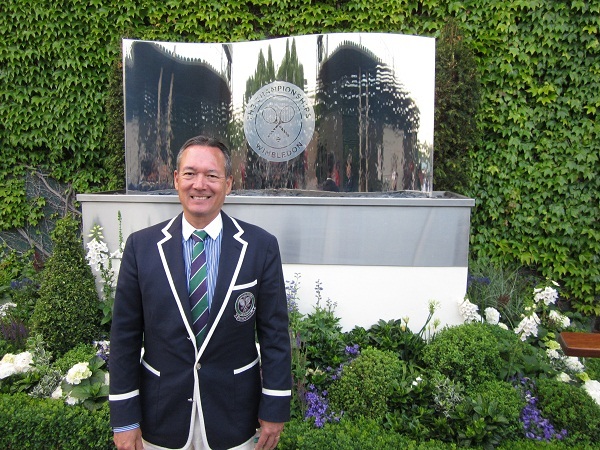 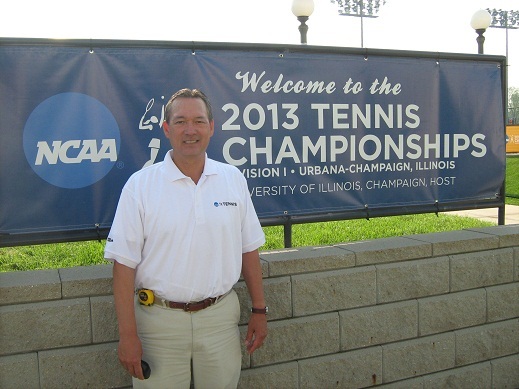 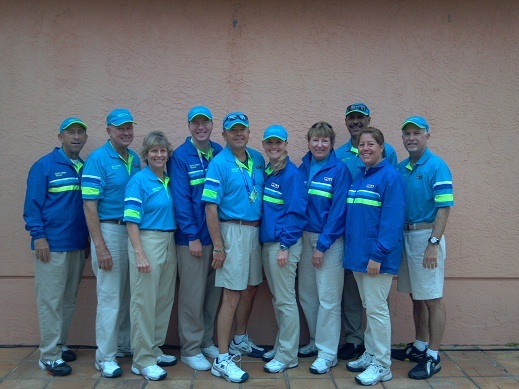 Spangler, Good, Violette, Linden, Rose, Pelton and Parmele will move on next week to the US Open, joining fellow Tarheels Al and Tamma Klassen, Rod Realon, Bruce Michael, Jason Tong, John Wilson and Ana de la Joya, making up the largest contingent of officials from any state in the Southern Section. 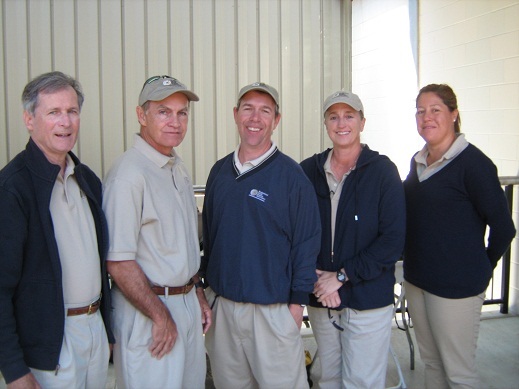 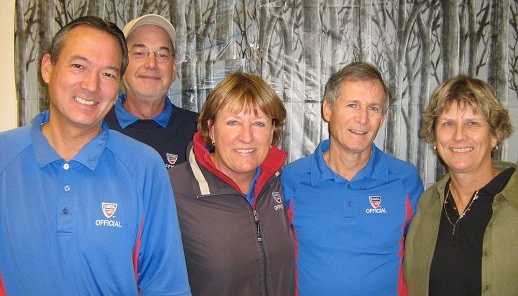 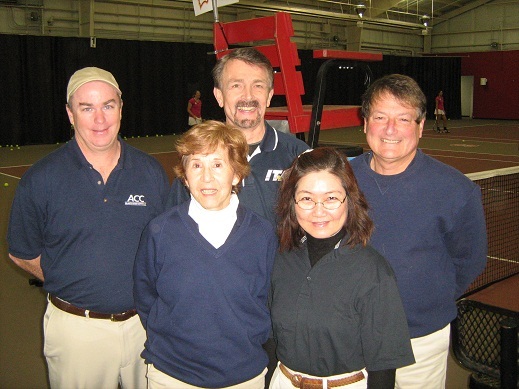 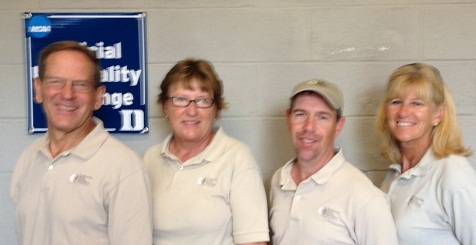 Rod Realon, Al Klassen, Ron Violette, Rebel Good, Carol Linden, and Harold Chapman. 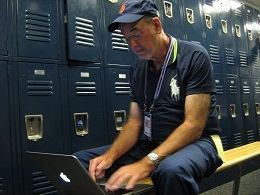 Also working but not in the photo was Richard Tsang. 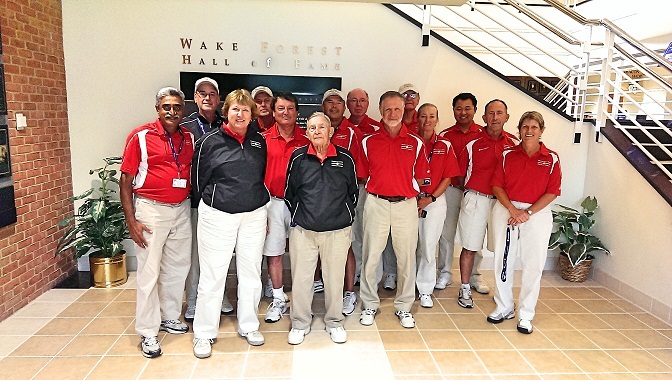 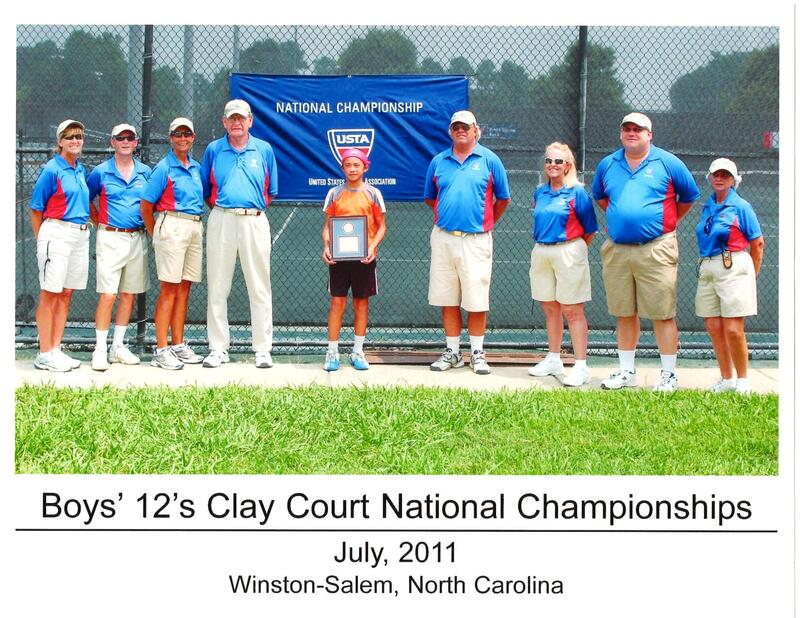 at the JW Isenhour Tennis Center at NC State in Raleigh. 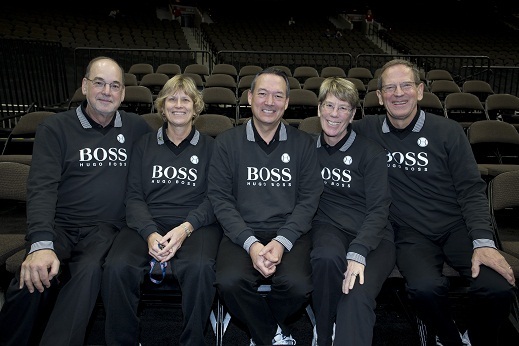 All officials donated their time to this worthwhile cause. 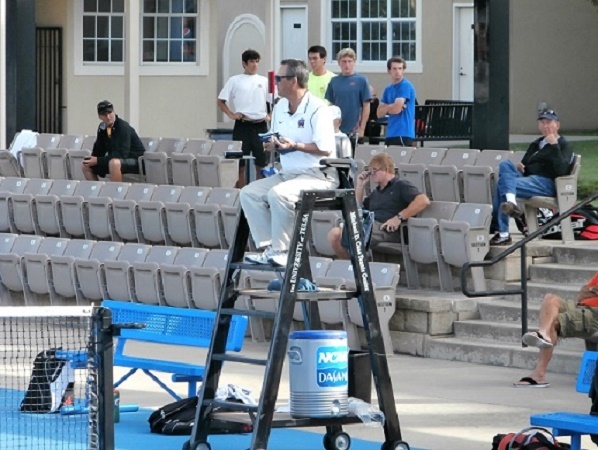 Features players included John Isner and Blake Strode.